Tony Janetos is now an Ecological Society of America Fellow. Dr. Tony Janetos was named a Fellow of the Ecological Society of America (ESA). 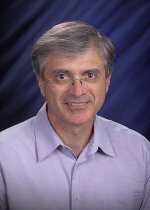 Janetos, Director of the Joint Global Change Research Institute, a partnership between PNNL and the University of Maryland, was designated for his contributions to ecology, and investigating the interaction of human decisions and ecosystem/environmental processes. Janetos is also a PNNL Laboratory Fellow and a Fellow of the American Association for the Advancement of Science. Janetos authored and led several scientific assessments addressing climate impacts, adaptation, and vulnerability, including the first U.S. National Assessment of the Impacts of Climate Change and Variability (2000), The Effects of Climate Change on Agriculture, Land Resources, Water Resources, and Biodiversity (2008), and Global Climate Change Impacts on the United States (2009). Janetos is frequently called upon to give testimony to Congress and participate in other policy and scientific forums to provide scientific insight and perspectives on climate change and its impacts to a wide range of audiences. ESA is in their inaugural year of recognizing Fellows for their contributions. Founded in 1915, ESA now has more than 10,000 members worldwide who conduct research, teach, and use ecological science to address environmental issues.